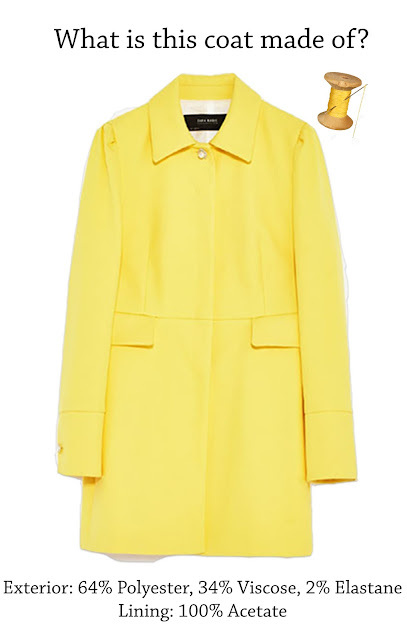 While shopping over the summer at Zara in New York City this bright yellow coat caught my eye. I loved the color, and the pearl details. The coat fit like it was tailored to me, which further persuaded me to buy it. I was expecting to see a price tag of at least $100, but was pleasantly surprised to see it was on sale for $40. I was thrilled, and bought the coat. During my decision making process I never thought once about who manufactured the garment, or how the materials were made, which I think is the same case for many consumers. 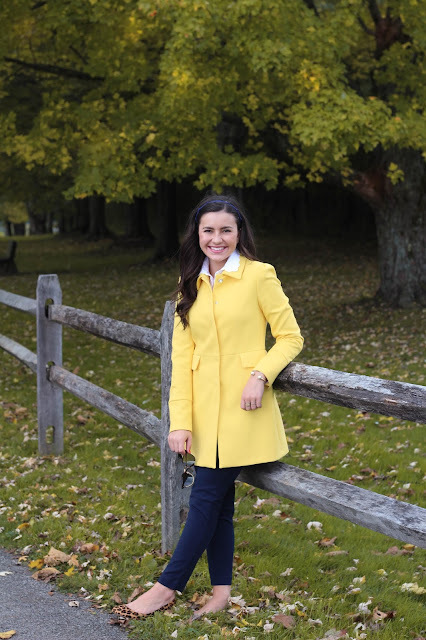 My yellow jacket was made in Spain, and in this post I'm going to delve into all of the details about my jacket. Parent company Inditex, also is headquartered in Spain. They opened their first store in 1975, today Zara has 2,100 stores in 88 countries worldwide. Amancio Ortega Gaona is the founder of Zara, has a net worth of $57 billion. Although he is 77, he is still heavily involved in the company. It only takes 4-6 weeks to create an item. To alter an existing item it only takes 2 weeks. They do a complete inventory turns 12 times a year. In 2016 alone Zara had a revenue of $15.9 billion. There are approximately 11,000 new designs each year. 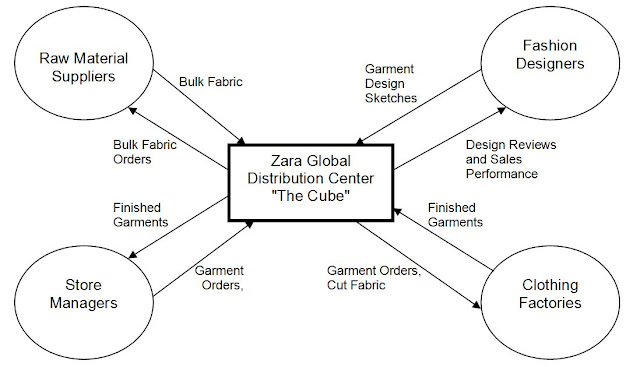 Zara uses closed loop manufacturing. They partner with 300+ local shops to perform finishing work on garments. Zara owns 14 manufacturing plants in Spain alone, but often does not take responsibility for the conditions and demanding schedules in plants that they outsource from. Most of their controversial practices are found at these locations. In 2016 Zara worked with 1,800 suppliers in over 6,500 factories. If your garment was made in one of the factories owned by Zara the garment worker made a living wage, and works in a good environment. The unfair labor practices are found when manufacturing is outsourced to plants in Asia, and other surrounding countries. Zara has been charged with 52 infractions by the Ministry of Labor and Employment in Brazil. Zara claimed to have no knowledge about the horrible conditions of their supplier. The labor practices in the outsourced Brazil factory can be described as 'slave-like'. Including working 16 hour shifts in windowless factories, at a wage of less than $200 a month. At least one of the employees working at this factory was under the age of 14. The brand makes over a billion units each year, and many of which are considered disposable to consumers because of their cheap price. Peoples increased disposal of garments leads to major environmental impacts. Some of their materials, such as viscose, are sourced from factories that create a lot of pollution. Zara is opaque with their wage data, and research has estimated that only 1-25% of workers receive a living wage. 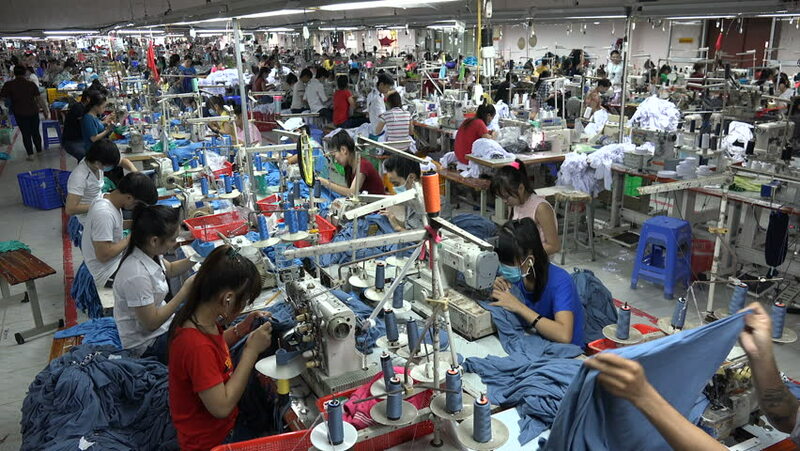 A garment factory where Zara outsources from in Sao Paulo, Brazil. 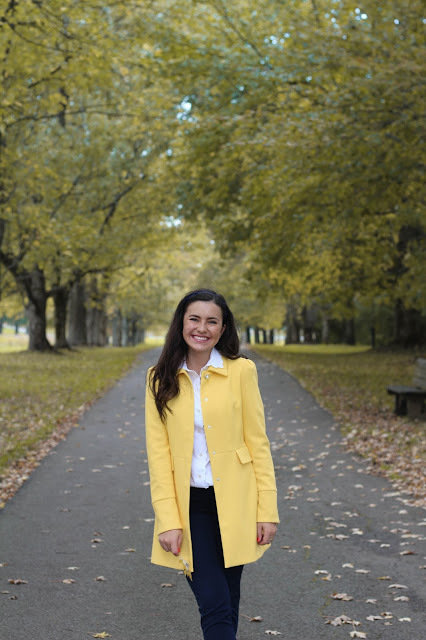 Zara's Code of Conduct does address many of their issues, and even though they are not perfect they have made many improvements over the last few years. In 2016 they developed raw material traceability, so that they are more transparent about where they are sourcing their materials from. They created a new material made from cotton waste and wood, that is much more sustainable. Involved in the Detox Campaign, and pledged to remove hazardous chemicals from their supply chain by 2020. Zara has introduced biodegradable plastic bags in stores, recycles alarm tags, and does many practices to conserve energy. According to RankABrand, Zara scored a C. This ranking is much higher than competitors such as H&M, but they still have a lot of progress to be made. 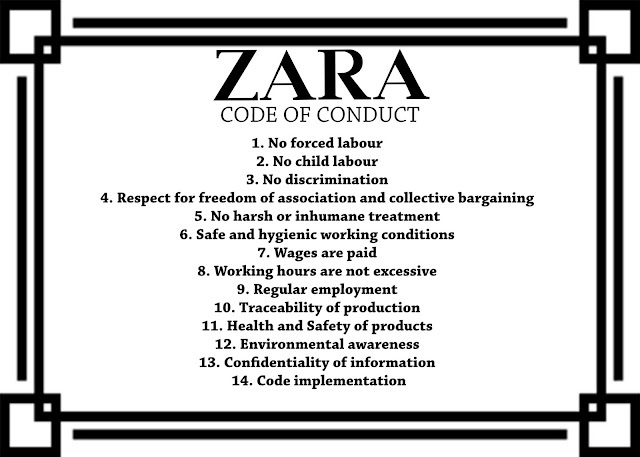 In recent years Zara has been working on becoming more sustainable, and better the treatment of workers. Zara has also been involved in the Detox Campaign and pledged to remove hazardous chemicals from their supply chain by 2020. Zara received an A in the Ethical Clothing rating. According to Fashion Revolution's rating, Zara scored the worst in transparency, and had the highest scores regarding policies and commitments. Even though these scores are not perfect, Zara ranks higher than their competitors in almost every issue. Zara chat online would not comment on their material production. What is it? Manufactured fiber made of synthetic polymers, greatly used. Harmful to the environment? Depending on how it was made can biodegrade, but the production releases harmful chemicals into the environment. Requires more than double the amount of energy needed to create cotton. Harmful to the environment? Uses highly toxic carbon disulfide, harmful to the environment and worker safety. Wood pulp is treated with many chemicals. Favorable Qualities? Extremely stretchy, and durable. Blends well with other fabrics. Where is it made? Mainly manufactured in China. Harmful to the environment? Production requires the use of toxic chemicals, and a lot of energy. Favorable Qualities? Fast drying, luxurious feel, soft, easily draped. Where is it made? First produced in the U.K. , now has moved to countries like China. Harmful to the environment? Virtually non-biodegradable, water intense processing. Clearly many of these materials are manufactured mainly in places with very little regulations from the government regarding labor laws and environmental standards. Zara is able to keep their costs cheap, but treat their workers well by cutting costs in the supply chain. By using vertically integrated manufacturing they control all of their costs, including transportation. Outsourcing relinquishes a lot of control. Having a large number of distributing facilities helps decrease shipping costs, which helps Zara provide higher wages to workers. Knowing all of this information- would I buy the coat if given another chance? I definitely think Zara has taken many steps in the right direction and is working on improving the brand as a whole. Knowing that my jacket was made in Spain and those making my garment were paid a fair wage, work in a clean environment, and some of the materials included in the jacket were manufactured considering the environment is a plus. There are so many positives, and negatives to Zara. Overall I would hold off on buying the coat if given the opportunity to learn all of this information before my purchase. I think the consumers have power over a brand to change, and if consumers demand change the change will occur. Abigail, I love this post so much! It's so informative and a lot of the time, we as consumers don't think about everything that goes into making a product! Great job girlie! This is amazing! I love to see the blogging world take more steps towards sustainable living and fashion. Bloggers could have such an influence on the fast fashion world so posts like this are integral to making a change. Love love love! Thank you for taking the time to put this information out there and making us aware of what happens behind the scenes of an adorable piece!